Forever Living's Essential Oil Lavender provides nature’s purest Lavender Oil to soothe, relax and calm. Grown and harvested in Bulgaria. The use of lavender can be traced back centuries to ancient Greek and Roman texts and the Bible where it was used along with Aloe Vera, spices and herbs to prepare temples for religious rites. Grown and harvested in Bulgaria due to ideal climate and soil, Forever's Essential Oil Lavender contains high levels of linalyl acetate , which gives a fruity, sweet aroma and high levels of terpenes . 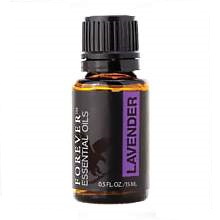 Watch this short video about Forever Living's Essential Oil Lavender.